Thoughts from the Hill: "Are You Gonna Drink That??!!" "Are You Gonna Drink That??!!" What is it you ask. Activated charcoal. Yum! Not so much. ;o) Seriously, it really has no flavor to it. I started getting a runny nose on Sunday. By Monday I was suffering with my sinuses. Ugh. I really don't need this. :o( I have so much on the go right now and I have people who need me healthy to be able to help them. Thankfully this is something minor health-wise and it too shall pass. I just wonder why everything happens at the same time. I can never figure that out. So I mixed up some charcoal this morning and drank it right down. I do feel better. Much better. I think it has worked better than the daytime/nighttime meds I was taking yesterday. I am still a bit stuffy, but the sinus pressure is gone and I feel good. Not groggy or sluggish. I usually mix a tablespoon or two with a cup of water. It is not gritty and it has no flavor. I don't mind the powder, so that is what I use. You can also buy the tablets and capsules. I first learned about charcoal a few summers ago at our church campmeeting. I was Primary leader that year, and John & Kim volunteered to help out with the program. They were scheduled to give some seminars on natural health remedies and charcoal to the adults in the afternoons. I was glad it was in the afternoon so I could go too. :o) They also did one for the kids too, and the kids really enjoyed it! Posted by Lisa at 5:05 p.m. This is VERY interesting!!! I have some on hand but only for an emergency should the children drink poison and poison control says "give them activated charcoal." :) Do you always take it when you are sick? June 5, 2007 at 10:30 p.m. 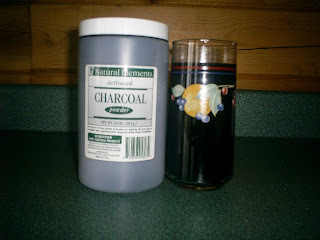 I just gave my son a small glass of "charcoal water" as we call it for his tummy ache. We use charcoal all of the time. 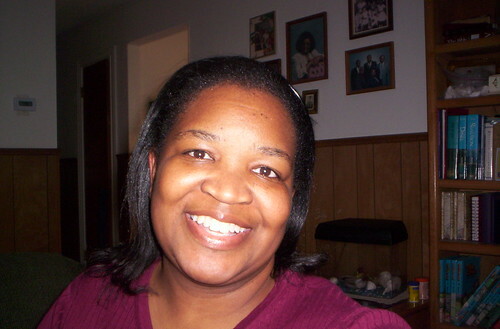 June 6, 2007 at 12:09 a.m.